Finely crafted in the USA from North American Hardwood, sanded & ready to finish in either stain or paint. Includes (1) Refined Bronze Tudor Insert, and 3M furniture grade tape for easy installation. Insert packaged separately. Create the perfect fit with our cut to length program. Cut to length form will be forwarded with sales order acknowledgement. Custom cut product is not returnable. 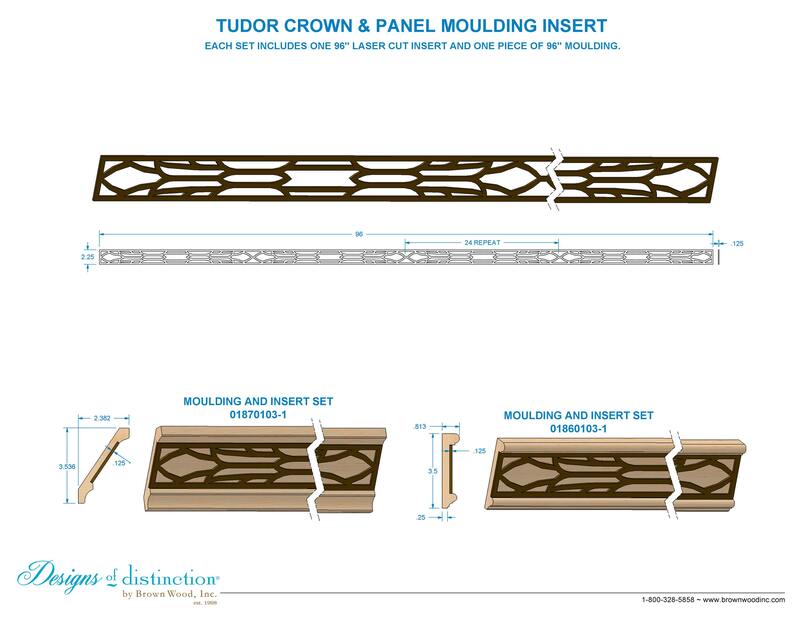 Add a tasteful and refined detail to our Panel Moulding by applying the Tudor insert. Our 1/8″ laser cut Masonite Tudor insert comes in 3 finishes: refined bronze, satin nickel, and wrought iron. The Panel Moulding with Tudor Insert belongs to our Nouveau and Tudor Insert Collections. After inserts are installed, a final top clear coat is recommended for superior durability. Shop more of this look in the Tudor Inserts Collection. Laser-cut Masonite inserts are CA Prop 65 & CARB Compliant. Looking for a custom part? Request an item to complete your look! © 2019 Brown Wood Inc.